Analogico-Deductive Reasoning (ADR) refers to the intersection of Analogical and Deductive reasoning, which often manifests in the form of a hypothesis generation through analogical matching and inference, and subsequent confirmation or refutation of that hypothesis through deductive reasoning. This research program has been centered around this simple idea: that the combination of these two modes of reasoning can explain so much about, and allow us to model much of, human-level cognition. Several publications have attempted to model ADR in human cognition (see below). More recently, ADR has been incorporated into the hybrid cognitive architecture CLARION and steps have been taken to model ethical and moral reasoning. BRINGSJORD, S., AND LICATO, J. Psychometric Artificial General Intelligence: The Piaget-MacGyver Room. In Theoretical Foundations of Artificial General Intelligence, P. Wang and B. Goertzel, Eds. Atlantis Press, 8, square des Bouleaux, 75019 Paris, France, 2012, pp. 25–48. LICATO, J., BRINGSJORD, S., AND GOVINDARAJULU, N. S. How Models of Creativity and Analogy Need to Answer the Tailorability Concern. In Proceedings of the IJCAI 2013 Workshop on Computational Creativity, Concept Invention, and General Intelligence (Beijing, China, 2013), T. R. Besold, K.-u. Kühnberger, M. Schorlemmer, and A. Smaill, Eds. LICATO, J., BRINGSJORD, S., AND HUMMEL, J. E. Exploring the Role of Analogico-Deductive Reasoning in the Balance-Beam Task. In Rethinking Cognitive Development: Proceedings of the 42nd Annual Meeting of the Jean Piaget Society (Toronto, Canada, 2012). LICATO, J., GOVINDARAJULU, N. S., BRINGSJORD, S., POMERANZ, M., AND GITTELSON, L. Analogico-Deductive Generation of Gödel’s First Incompleteness Theorem from the Liar Paradox. Proceedings of the 23rd Annual International Joint Conference on Artificial Intelligence (IJCAI-13) (2013). LICATO, J., SUN, R., AND BRINGSJORD, S. Structural Representation and Reasoning in a Hybrid Cognitive Architecture. 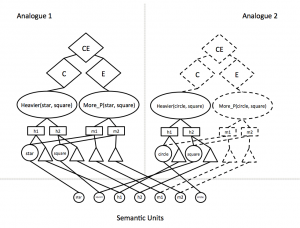 In Proceedings of the 2014 International Joint Conference on Neural Networks (IJCNN) (2014). 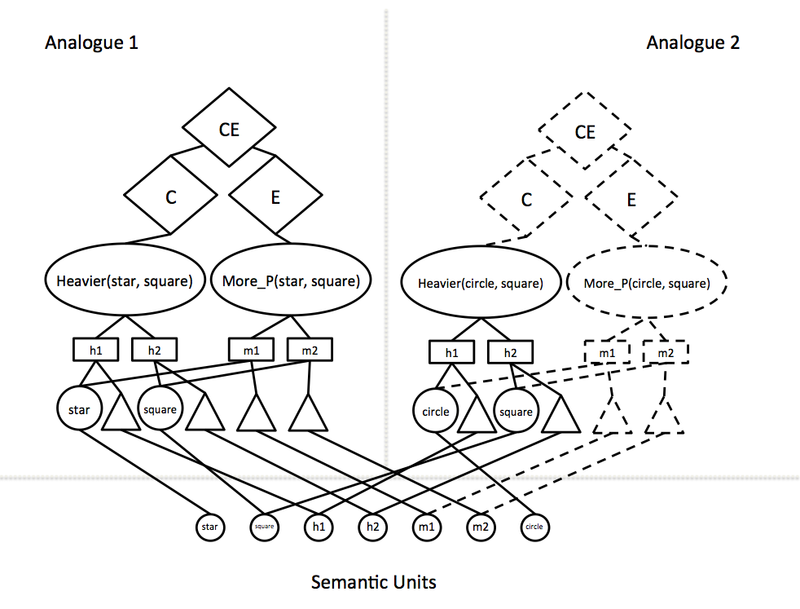 LICATO, J., SUN, R., AND BRINGSJORD, S. Using a Hybrid Cognitive Architecture to Model Children’s Errors in an Analogy Task. In Proceedings of CogSci 2014 (2014). HUMMEL, J. E., LICATO, J., AND BRINGSJORD, S. Analogy, explanation, and proof. Frontiers in Human Neuroscience (In Press).